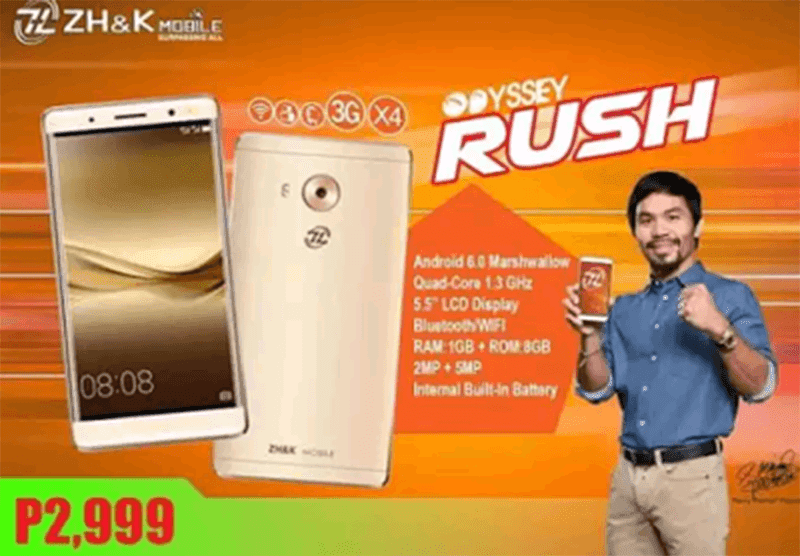 ZH&K Odyssey Rush Leaks, Touts 5.5 Inch 2.5D Screen And Marshmallow OS For 2999 Pesos! Home / leaks / mobile / zh&k / ZH&K Odyssey Rush Leaks, Touts 5.5 Inch 2.5D Screen And Marshmallow OS For 2999 Pesos! In a recent find by Ronnothedj, he spotted that one Facebook commenter just posted the newest ZH&K handset. Dubbed as the ZH&K Odyssey Rush, it's their first Android 6.0 Marshmallow powered device that has some resemblance to the design of Huawei's Mate 8. It features a 5.5 inch LCD w/ 2.5D glass, 1.3 GHz quad core processor, Mali 400 GPU, 1 GB RAM and 8 GB of expandable ROM. The Odyssey Rush also has a 5 MP rear camera, 2 MP selfie camera, WiFi and Bluetooth capability. The Odyssey Rush will retail with a low SRP of 2,999 Pesos. There's no word yet about the rest of the missing details like its battery capacity, if it has 3G capabilities, other special features and availability. What do you think guys? Is it properly priced? Let us know by putting your comments below.